THE NEW ARCADIA SERIES COMBINES NATAL QUALITY AND CRAFTSMANSHIP WITH REAL VALUE FOR MONEY. TAKING INSPIRATION FROM THE AWARD WINNING ORIGINAL SERIES, ARCADIA KITS ARE DESIGNED FOR DRUMMERS WHO WANT A LOWER COST KIT, BUT ARE UNWILLING TO COMPROMISE ON SOUND OR BUILD QUALITY. Arcadia’s birch shells produce a full bodied sound, the tight grain structure accentuating low-mid punch. While resonant in the top end, Birch has plenty of attack while maintaining a ‘mid-scooped’ tone – a quality favoured by studio engineers and recording artists. The lugs are lower mass editions of the distinctive Original Series lug. They are British designed and embossed with the iconic Natal sun logo. The tom mount is also British designed and features the Double Tom Mount (DTM) used on the Double Tom Stand from Natal’s acclaimed Pro Series hardware. The DTM’s non-slip aluminium ball design allows you to position your toms accurately at just about any angle. And with the aluminium ball being more durable than the resin ball more commonly used, you get greater hold, stability and longevity. There is also a post clamp on the DTM to mount a cowbell, tambourine, or other percussion. Bass drum claws feature rubber gaskets to help protect the hoop from getting marked under tension. Shell mounted telescopic bass drum legs allow the bass drum to be positioned securely. Arcadia features 2mm triple flanged chrome hoops for a more open and resonant sound. Bass drum hoops are colour matched with the bass drum on wrap and lacquer finishes. The total package! For the beginner, looking for the basics, and a little more. The d2 includes shallow toms, in a contemporary size configuration. When you’re ready to expand, d2 is right there with you, 8″ and 14″ add on tom pack available separately, with all necessary mounting hardware. A cut above the rest! Also included…hardware, cymbals, sticks, stick bag, and throne. Retails $647 Our Price only $399 YOU SAVE $248!! 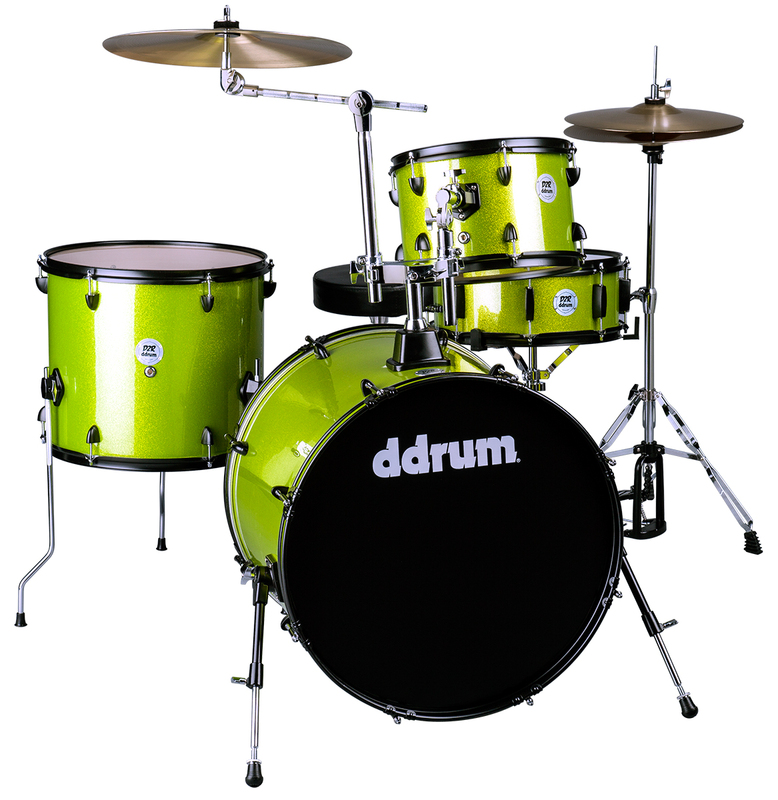 The Total Drum package for the Beginner… includes everything you need to play right out of the Box… The D2R Drum set is the perfect kit for the future rock star. 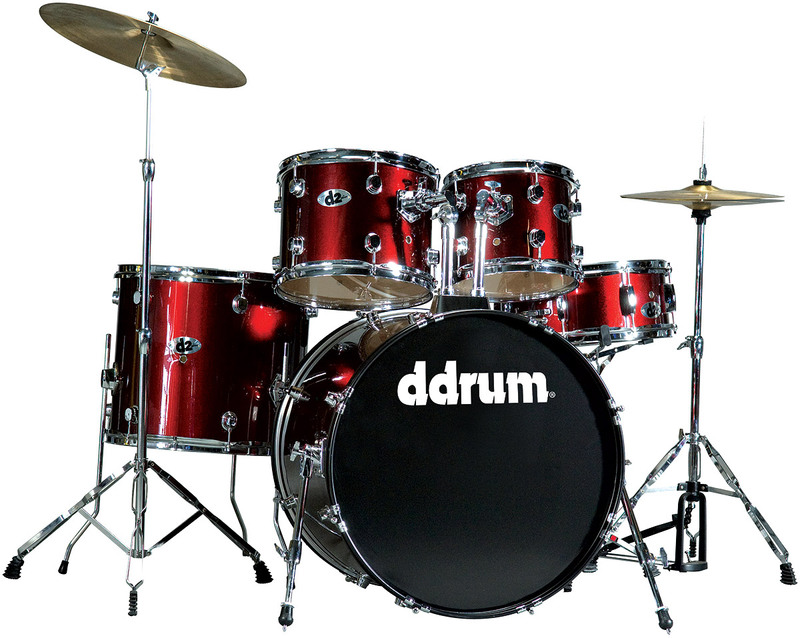 Includes 4pc shell pack with all hardware, cymbals, and sticks to get you up on stage in no time. Comes in 3 sparkle finishes to choose from. Lime sparkle, Silver sparkle and black sparkle. Retails $537 Our Price only $299 YOU SAVE $328! !